Congratulations to Jason & Shannon on the birth of Jaxon Ray on August 21, 2013! Jaxon weighed 7 lbs. 6 oz. and is 20 1/2 inches long. We’d like to wish Jaxon’s “Aunt” Amy special best wishes for lots of fun doting on him. She’s so excited he’s here! 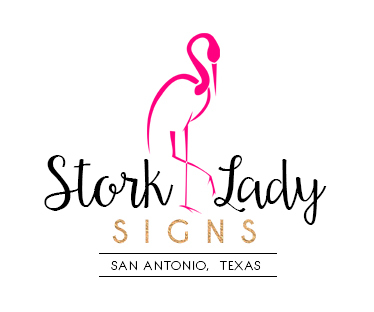 Stork Lady Signs has the cutest stork lawn signs in all of San Antonio, Texas TX. 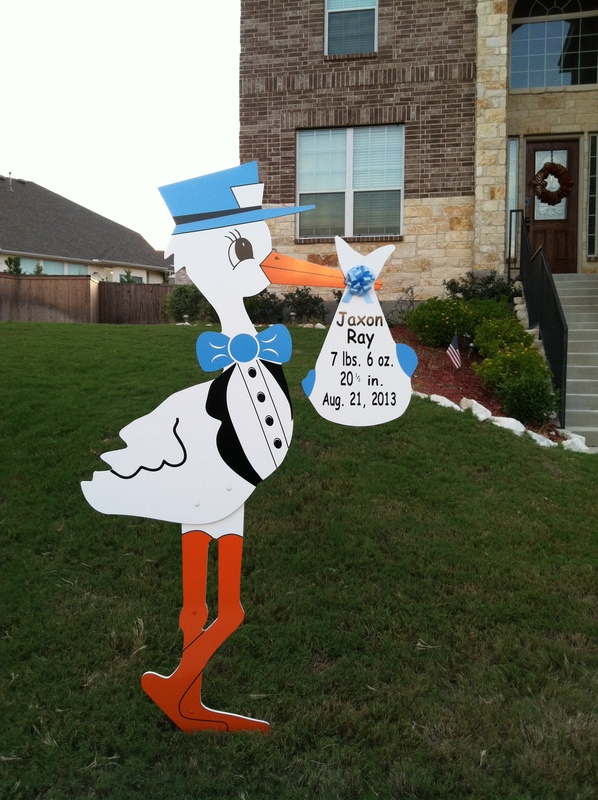 Please contact us at 210-601-7351 to rent a stork yard sign to welcome home your new baby or grandbaby . We proudly serve the greater San Antonio area, including including Alamo Heights, Alamo Ranch, Castle Hills, Converse, Fort Sam Houston, Lackland Air Force Base, Leon Valley, Lincoln Heights, Live Oak, Universal City, Hollywood Park, Kirby, Olmos Park, Randolph Air Force Base, Shavano Park, Stone Oak, Terrell Hills, The Great Northwest, Windcrest, Helotes, Boerne and Leon Springs, TX.